The door opened with no warning knock. Serena gasped and pulled the cloth over her breasts and belly, keenly aware her legs were bare for anyone to see. The Red Wolf stepped into the chamber, his piercing gray gaze sliding over her body and coming to rest where her breasts strained against the thin cloth. She could feel the heat of her blush as she looked down to see the drying cloth clinging to her wet skin. Without saying a word, he turned to the side and took off his belt. Then, with a grunt, he pulled his mail over his head and struggled out of his tunic. She would have offered to help had she not been so scantily clad. Had she not been so shy of his disrobing before her. When his tunic slid to the floor, she nervously asked, "What do you intend, my lord?" "I should think that was obvious, my lady. I am claiming my bride." "Now?" She gripped the drying cloth more tightly to her still damp body. The long strands of her pale hair, wet from the bath, clung to her skin. No man had ever seen her in such a state. "Yes, now." His eyes considered her carefully, and he shook his head. "God knows I’ve left it overlong." While still staring at her, he shed his spurs and boots and doffed his linen shirt, leaving his chest bare and his lower body clad in only hosen and braies. He was a beautiful man with his bronze skin and muscled chest. Her eyes were drawn to the white cloth circling his upper arm. "Your wound," she said, as she focused on the white bandage around his upper arm. The wound from the arrow he took for Jamie. How could she not love such a man? "Aye." He glanced down at the bandage. "My token from the siege at Exeter." His gray eyes narrowed intently. "If you are asking if it will impair my performance in our bed, nay." The Red Wolf's Prize by Regan Walker is a 2014 publication. I was provided a copy of this book in exchange for an honest review. Beautifully written, perfectly paced, action packed, with a passionate and epic love affair...what more could you ask for? Has anyone else been wondering what happened to Medieval romance? Are we destined to read of Earls and Dukes forever? Will there never again be a historical romance with depth, true authenticity, emotion, and the guts to portray life in the times that were fraught with war and danger? I for one was past ready to read a historical romance with some meat on its bones. If you have been missing these types of romances too, then your wait is over. This book was just what I have been waiting for. Sir Renaud, aka The Red Wolf, is a Norman Knight rumored to be in King William's favor. Renaud was given the lands of the English Talisand by the king as a reward. The lands were once owned by an Engish Thegn who was slain in battle. He left behind a castle and beautiful daughter named Serena. Serena was promised to Renaud along with the lands and castle. Before he arrives to claim his stake and his bride, Serena vows she will never wed a Norman. To avoid this fate she will take desperate measures. When Renaud arrives in Talisand and discovers his intended has fled, he finds a servant girl that captures his interest. He pursues her relentlessly only to be spurned over and over. But, soon Renaud begins to suspect something is going on with the servant girl who is deadly accurate with a bow and knife and can sing like an angel. Then the truth hits him right between the eyes. Now the warrior is more determined than ever to claim his bride- not just her body but her heart as well. This book has everything you could hope for in a historical romance. It was like a soothing balm to once more read a Medieval tale that took me away to a time long ago where everything around me just fell to the wayside and I was completely absorbed with ladies of honor, pride, boldness and tenacity. Warriors with valor and loyalty who inspired others in their wake. The brutality of war and the emotional tug of war Serena fought within herself as she suffered the loss of her lands and watched helplessly as William tore through English lands burning and pillaging everything in sight. Her heart ached with the loss and fear for her brother , leaving her to feel disloyal to to her people, her brother, and her father's memory as she slowly falls in love with her Norman husband. This book is so well researched and I am so happy to see an author learn her subject and the era in which she chooses to write. The language was authentic, the actions true to the times, no modern slang or terms, which I absolutely loath, and was as accurately depicted as our modern world will allow. My eyes stung with tears as I struggled along with Serena and her fight to find a common ground with her warrior husband. How difficult this must have been for her. Renaud was realistically depicted as he made no excuses or apologies for the war to his bride, but was sensitive to her feelings nonetheless. While this was not a likely love match, the two find that despite all the differences between them, each respected the other and the love they shared was the the most powerful weapon of all. REGAN IS GIVING AWAY ONE E BOOK COPY OF THE RED WOLF'S PRIZE TO RANDOMLY CHOSEN COMMENTER. Bestselling author Regan Walker loved to write stories as a child, particularly those about adventure-loving girls, but by the time she got to college more serious pursuits took priority. One of her professors encouraged her to pursue the profession of law, which she did. Years of serving clients in private practice and several stints in high levels of government gave her a love of international travel and a feel for the demands of the "Crown" on its subjects. Hence her romance novels often involve a demanding sovereign who taps his subjects for "special assignments." In each of her novels, there is always real history and real historic figures. I am an avid reader/reviewer of historical romance. And, since 2012, I am a published author. 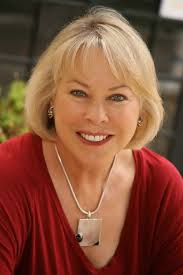 Check out my website: www.reganwalkerauthor.com, and my blog: reganromancereview.blogspot.com. 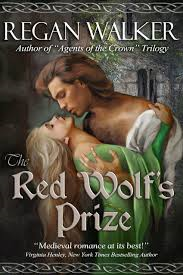 My novels are Regencies, the Agents of the Crown trilogy, which feature dashing heroes who take on special assignments for a demanding Prince Regent; and medievals, beginning with THE RED WOLF'S PRIZE, to be released October 1st, 2014. "RACING WITH THE WIND is a superb historical romance, filled with passion, political intrigue, and a worthy hero and heroine!" WIND RAVEN: “A salty, sweeping, evocative tale of romance on the high seas—and a good old-fashioned love story that will keep you up far, far past your bedtime. So, reach for the coffee. Brava for Regan Walker!" Thanks so much, Julie for the thoughtful review! I'm so glad you enjoyed the Red Wolf!